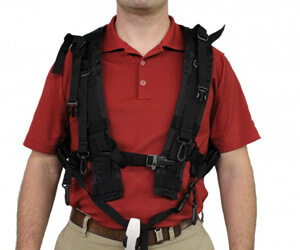 Innerspec’s PowerBox H Body Harness minimizes fatigue and frees up hands to perform other tasks while in the field. 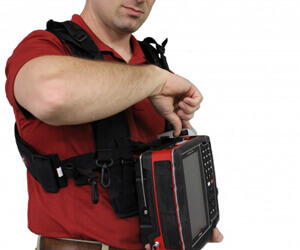 The harness connects to the PowerBox H at three attachment points and allows full access the keypad, screen, and external connection ports. The harness has additional clips and latches to connect extra equipment or items for increased functionality and carrying capacity.